I am joining in with Wot So Funee for the first time, as Aaron, as he gets older is increasingly getting VERY funny. It was started, and is normally hosted by Actually Mummy, but this week is hosted by Mummy Never Sleeps. 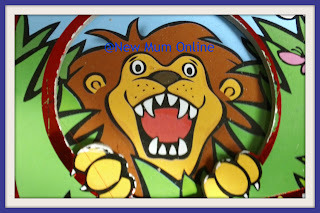 "I am going to eat you"
To which he replied: "You can't"
Quickly followed by "You're Mummy"
And then to really confirm things: "You're not a lion" which was said really firmly and assertively and for some reason had me howling with laughter. "I just don't like you" followed by "You're a fox?" and HE says: "I am going to eat you"
I should have taken part in this linky last week. Something even funnier happened. and then out of the window. "you wouldn't throw me out of the window?" to which he laughed and said straight back "and you're not a Princess". Very funny, Aaron is a real cutie. Awewww that's so cute - you have a very bright little man there! 1Oh I predict a lot of #funees in the weeks to come Perfect!! Hello there, I believe your site could be having browser compatibility problems. when opening in Internet Explorer, it's got some overlapping issues. I just wanted to give you a quick heads up! Apart from that, wonderful site!